I learned first hand when Evan and I were preparing for our engagement pictures how stressful it is to pick out the outfits you will wear for the photos you are investing in! You want to be classy, but fun – you want to match, but not match too much! So know, I GET IT!! Over the next three weeks I will be giving some helpful hints to help you prepare for your senior session (both boys & girls) and for your family session! If you are a recently engaged couple & want some tips you can check out this blog post that I wrote a few months back right HERE! 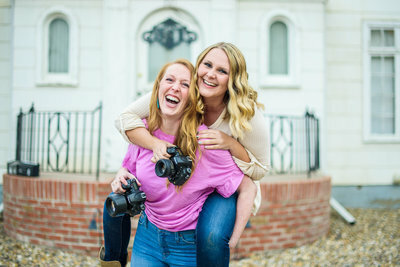 As for today I am going to chat about dressing for your session if you are a SENIOR GIRL!! If you are getting your senior photos done by me you are in luck – you don’t have to prepare anything!! We head up to The Key in the Holiday Village Mall & you get to wear WHATEVER you want from there! Super easy & stress free. If you are not getting your pictures taken with me it might be a little more stressful when planning your outfits! You want your senior pictures to be FUN & YOU but you also want to wear cute and stylish clothes. It can be SUPER stressful if you don’t have a budget to buy all new clothes. My tips today will hopefully help you choose what to wear to your senior session! 1.Stray away from fonts & graphics! Graphics and fonts can be VERY distracting to the viewer’s eye. If you have a shirt that says “Hollister” or any font phrasing, it is almost guaranteed the person looking at your photo will read that print before even noticing how adorable your face or epic your background is! Stick to patterns or solids when looking for outfits! I know dresses aren’t everyone’s thing and that’s okay! But in my opinion by wearing at least one dress in your session you will instantly feel prettier and more sophisticated! It is also a great way to add movement and something a little flirty into your pictures! I know shades of blue and green makes my pale skin look warmer & my blue eyes pop – so if I was planning outfits I would look for a few outfits to be primarily blue or green! By adding more color into your outfits will add more color to your photos! I love color & encourage everyone to wear a little color in their photos – especially in the winter to contrast against the bare trees and white snow! I hope those four tips help you decide what to wear for your senior session!